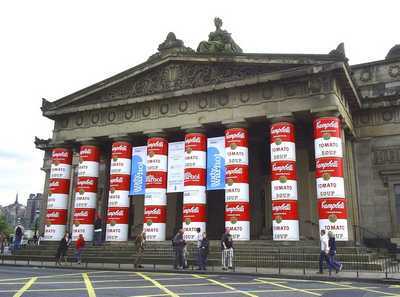 Edinburgh has an wide selection of shopping available to cater for every taste. This ranges from upmarket designer stores such as Harvey Nichols, Jenners and House of Fraser, through the usual range of high street department stores such as John Lewis, Marks & Spencer, Next, Gap and Debenhams, down to smaller boutiques, craft and specialist outlets selling pretty much anything you may need. 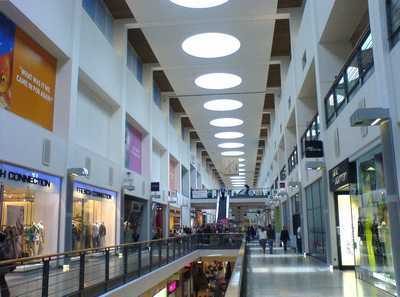 There are also out of town shopping centres such as Ocean Terminal, the Gyle Shopping Centre and Fort Kinnaird (the first two offering undercover shopping). Generally speaking, city centre shops in Edinburgh cater for a fairly wide clientele. 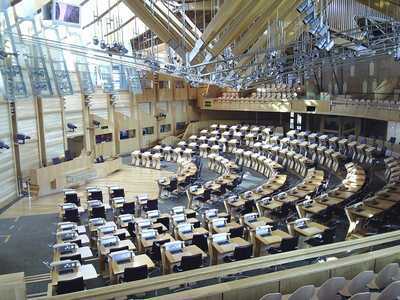 This ranges from residents of the city itself and the surrounding hinterland, those who work here, the many students who study in town (it has three Universities - Edinburgh, Heriot Watt and Napier) and, of course, our welcome tourists. 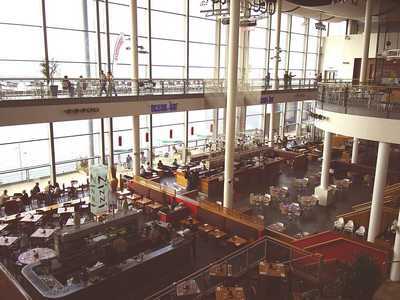 Enjoy a morning or afternoon browsing around the main shopping areas, and when you find yourself in need of a break, stop for a coffee or meal in one of the excellent cafes or restaurants. 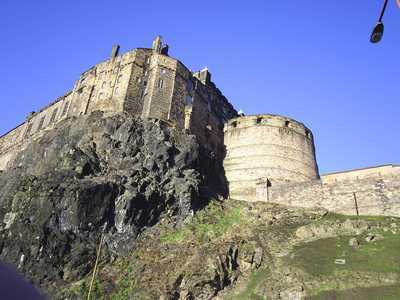 Whatever you're looking for you're sure to find it in Edinburgh. Princes Street has one of Europe's most impressive settings, enjoying as it does a visually stunning and uninterrupted panorama across Princes Street Gardens to the majestic Castle and Old Town. Constructed principally during the latter half of the 18th century as part of the New Town development, Princes Street was originally proposed to be called St Giles Street, after the patron saint of the city. This suggestion is said to have been rejected by King George III and the street named instead with reference to two of his sons, i.e. the Princes. 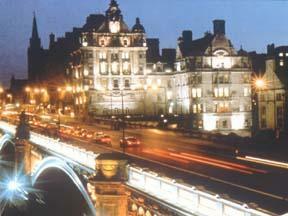 Before the Edinburgh City Bypass was completed, most traffic crossing the city had to travel along Princes Street, making for considerable noise, congestion and pollution. Nowadays however only trams, buses and taxis are allowed to travel it its full length. 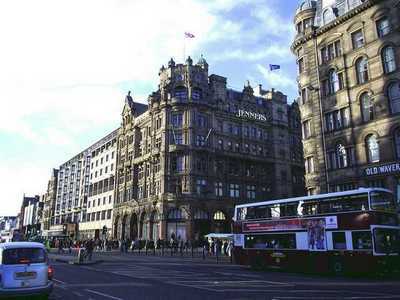 It is along Princes Street that the main department stores such as Jenners, House of Fraser, Marks & Spencer, Primark and Debenhams are to be found, together with a wide range of other shops, hotels, coffee shops and fast food restaurants. Next to Waverley Railway Station is the small Waverley Mall and slightly further along (just around the corner from the statue of Wellington on his horse) you will find work has started on the new Edinburgh St James development which is due to be completed in 2020. 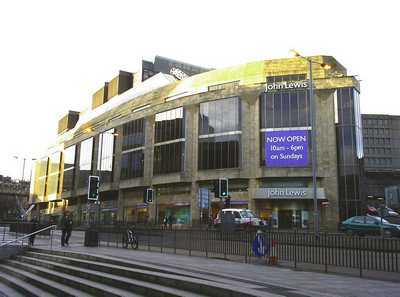 The excellent John Lewis department store is located here and will be open throughout the redevelopment work. 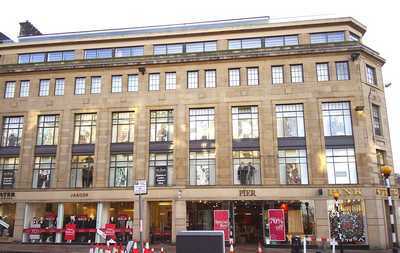 Jenners, which was one of the oldest family run businesses in the city until it was acquired by House of Fraser a few years ago and then more recently by Mike Ashley's Sports Direct chain, is well worth a visit. This upmarket but somewhat labyrinthine store is full of charm and sophistication. 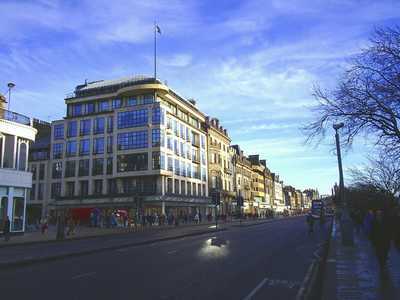 Debenhams, further down Princes Street (opposite the Castle), is known for its good seasonal sales, and is also worth a look. 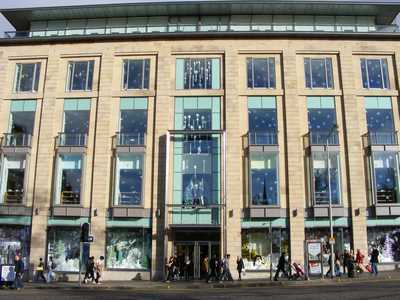 Overall, Princes Street provides an excellent shopping experience which we recommend is best enjoyed at a leisurely pace. 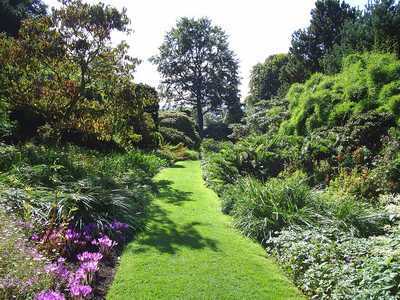 Take your time to enjoy its magnificent surroundings and the many alterrnative attractions along its length, including the Scott Monument, the Royal Scottish Academy, the National Galleries of Scotland and, not forgetting, Princes Street Gardens with its unusual floral clock. Named after George III, George Street was designed to be the foremost street of Edinburgh's New Town, linking Charlotte Square in the east to St Andrews Square in the west. Work commenced in1767. From its early beginnings as a residential area, George Street gradually developed during the 19th and 20th centuries into a centre for banking and insurance. This is reflected in the architectural splendour of many of the buildings dotted along its route, which give George Street an upmarket air of respectability. In recent years many of these companies have relocated to out of town greenfield sites, releasing their former premises for new incoming businesses. In the main, these have tended to be chic clothes shops, stylish bars and smart restaurants as well as other retail businesses catering for the top end of the market. 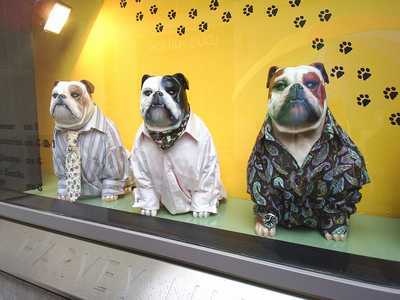 Without doubt, George Street is one of Edinburgh's best "posh shop" areas. Just make sure you take your credit card with you! 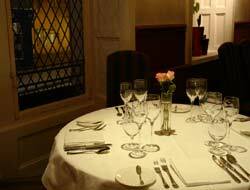 Further information on George Street can be found by clicking here. 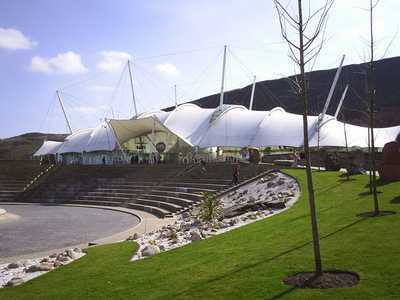 Ocean Terminal in Leith is one of Edinburgh's most modern centres, combining quality shopping, eating and cinema. 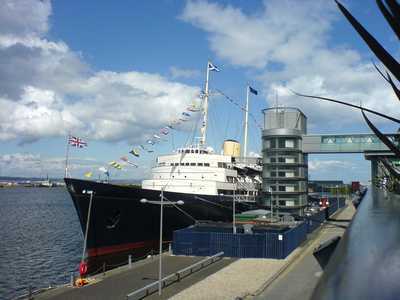 Located on the shorefront at Leith Docks, Ocean Terminal is now the home to the former Royal Yacht, Britannia, which has been made into an excellent visitor attraction.